LOS ANGELES—Amazon founder Jeff Bezos got to live out every Trekkie’s fantasy by playing an alien in the new “Star Trek” movie. Bezos is listed in the credits for “Star Trek Beyond,” the third installment of the rebooted sci-fi franchise. In interviews Friday, producer J.J. Abrams and director Justin Lin confirmed his appearance in the movie. Lin said the billionaire CEO arrived with plentiful security for a day of filming and waited patiently for crews to shoot the single tracking shot that includes his character. 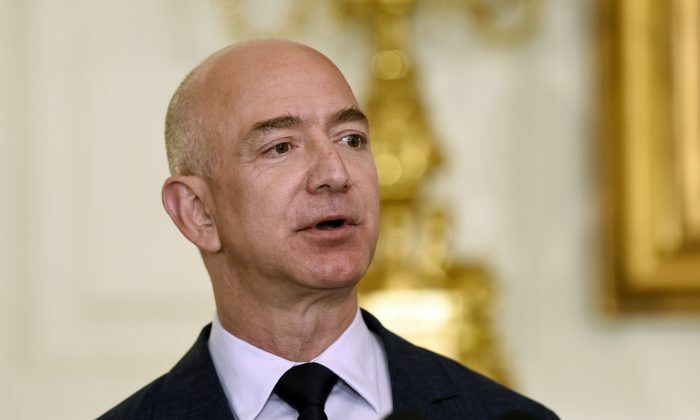 Bezos has spoken in interviews of his passion for “Star Trek” and said his childhood dreams of space led him to found his private space travel company, named Blue Origin. His cameo in the latest movie comes after several musicians and actors made unbilled appearances in Abrams’ “Star Wars: The Force Awakens,” including Daniel Craig as a Stormtrooper. Even for Hollywood actors accustomed to the red-carpet glitz, Bezos caused a stir with his appearance on set.